A new species of insect found in a limestone cave near Port Alberni on Vancouver Island may have survived the last ice age by living underground, researchers suggest. A newly discovered cave-dwelling species of insect found in British Columbia could be a survivor from the last ice age, scientists say. Haplocampa wagnelli, the arthropod found in a limestone cave near Port Alberni on Vancouver Island, is about three to four millimetres long, with six legs, no eyes and a whitish, almost transparent colour. Alberto Sendra, lead author of a study published in the journal Subterranean Biology last week, said the little bug's existence opens up possibilities of how species survive in different climates and conditions. 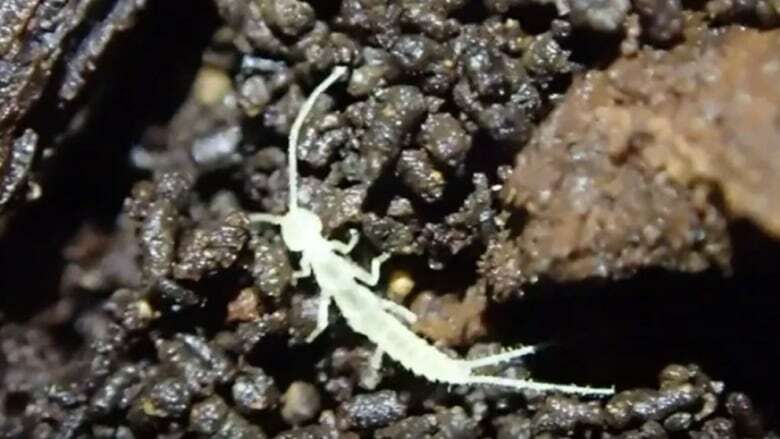 Sendra, a professor of animal biology at the University of Alcala in Madrid, said there is a possibility the insect migrated north from the United States and settled in the caves on Vancouver Island. The caves help the streams maintain constant water temperatures and quality year round, which helps support a variety of fish and wildlife, the study said, noting little has been done to protect the caves from logging, mining and recreational practices.